We offer full audio clean-up and restoration using Sonic Studio’s latest software, “SoundBlade”. This is the most renowned workstation in the mastering world, and our studio is complete with the full de-click, de-crackle and no-noise package. It’s the best tool we’ve ever heard for the removal of broadband noise, digital clicks and pops, vinyl surface noise, impulse & hum, buzz, acoustic interference, overload and distortion. 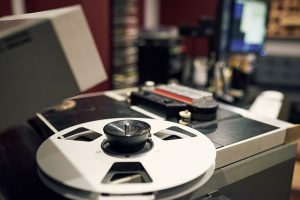 We also provide Audio Restoration Services for legal, investigative and other personal applications.